Located in a popular close in Kennington is this delightful two bedroom property. 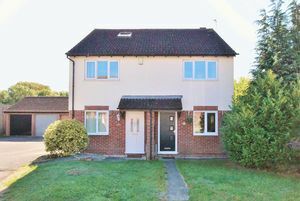 First impressions are excellent, you will see that there are double glazed windows and doors, rear access to the garden and a garage to the left. The front door leads you directly in to the entrance where there is space to remove and store outerwear as well as stairs leading to the first floor and a door through to the lounge. The lounge is a good sized, bright space with a window to the front. This generous living space is neutrally decorated and has wood effect laminate flooring and space for a corner sofa, arm chair and additional storage. there is also a door leading through to the kitchen. 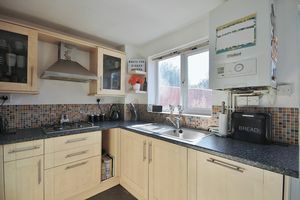 The kitchen looks out to the garden and runs across the rear of the property. 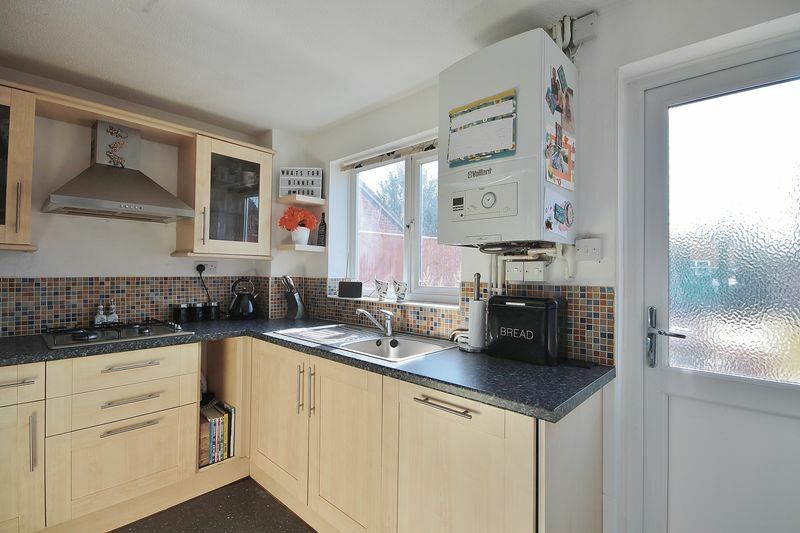 There is plenty of space for the fridge freezer as well as an integrated oven, hob and dishwasher. The units them selves are of a shaker style with laminate work tops and chrome fittings. There is space for a bistro style table and chairs as well as a door leading out to the rear garden. 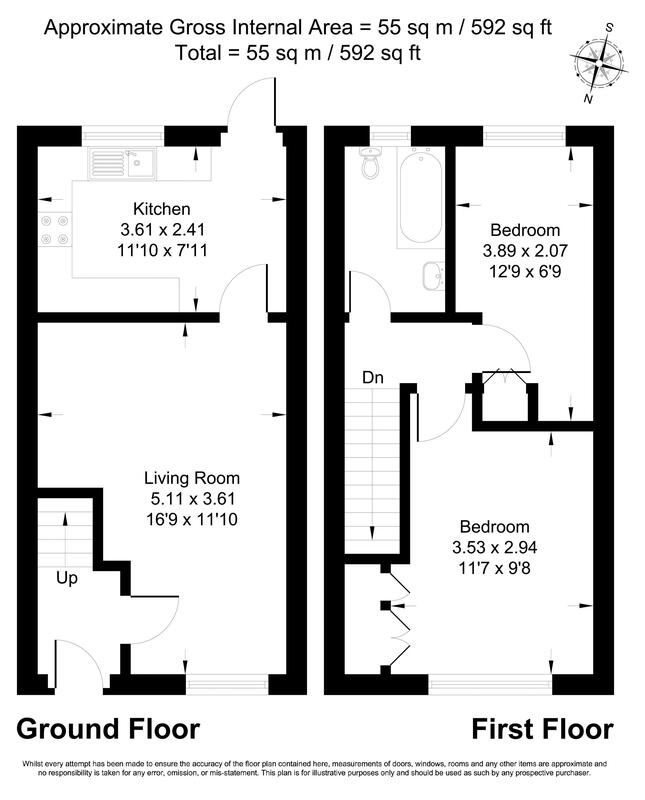 On the first floor you will find two bedrooms and a family bathroom. The master bedroom is located at the front of the property. 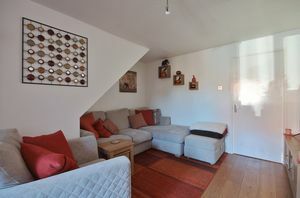 There is comfortably space for a double bed with side tables as well as the added bonus of built in wardrobes. 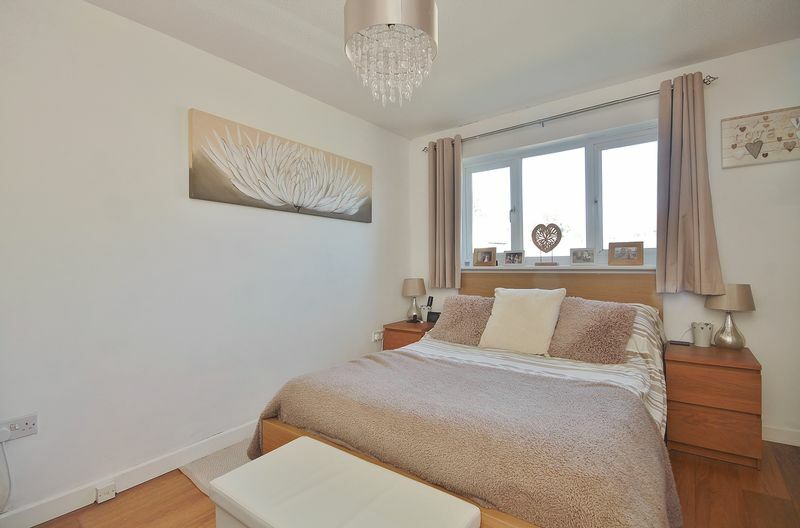 Much like to rest of the property, it is neutral and bright with laminate flooring. 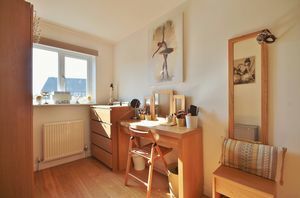 The second bedroom has views out to the rear garden and has previously has a double bed but is now being used as a dressing room by the current owners. The family bathroom has been recently updated. It has a white suite with bath, toilet and hand basin with vanity. 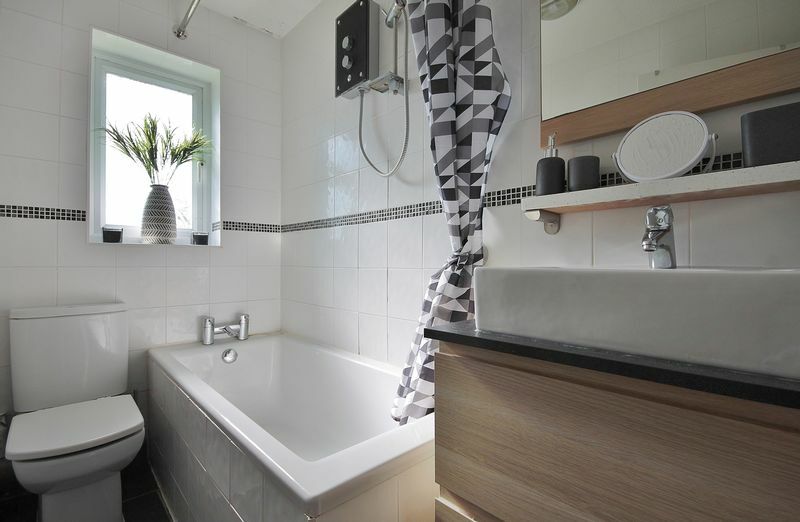 It is mostly tiled and has a mosaic trim. 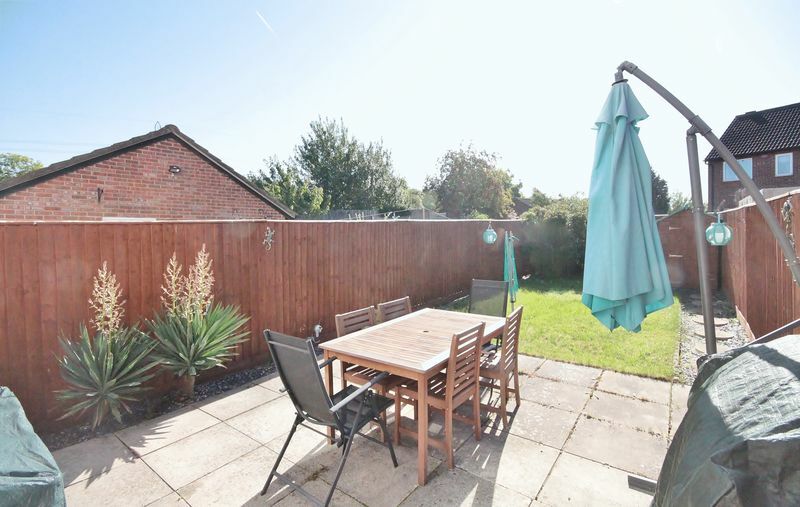 The enclosed rear garden is a great space for those summer barbecues! 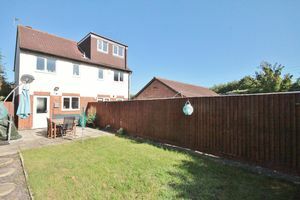 It is south facing and is mostly lawned with an area of patio. We just love the village of Kennington! Not only is it within easy reach of both the city centre and Abingdon but there is also a train station in nearby Radley making it a great choice for commuters. For families, the village has a Montessori and school run nursery, ofsted rated ‘good’ primary school as well as parks, doctors, dentist, local shop and church. If you think this could be the perfect place for you, then contact us on 01865 910350.